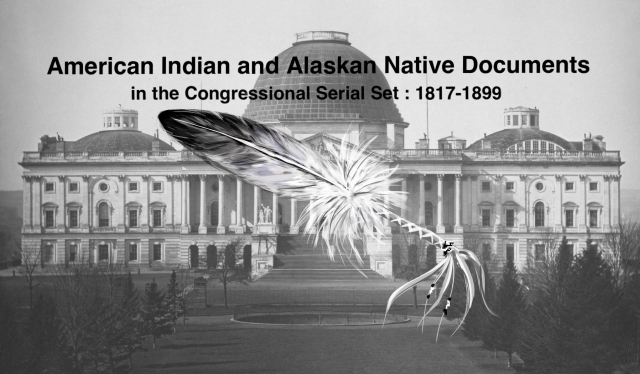 Report of the Secretary of the Interior; being part of the message and documents communicated to the two Houses of Congress at the beginning of the first session of the Fifty-first Congress, Part 2, Report of the Commissioner of Education, 1889. Annual Message to Congress with Documents: Pres. Harrison. 3 Dec. HED 1, 51-1, v1-18, 15546p. [2714-2733] Division and reduction of the Sioux reservation in Dakota: the opening of portions of Indian Territory for settlement; no policy for the establishment of Indian reservations in Alaska: annual report of the Sec. of War (Serials 2715-2720); annual report of the Sec. of Interior (Seri-als 2724-2730); annual report of the Gen. Land Office (Serial 2724); annual report of the CIA (Serial 2725); etc.